Throughout the year, we attend a variety of Police K9 Conferences, shows and events. 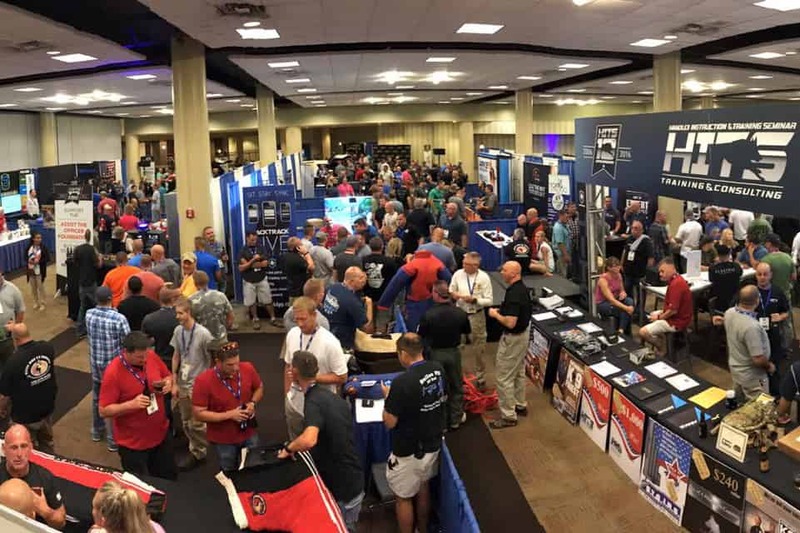 Each Police K9 conference offers some great opportunities to attend dynamic seminars, instructed by the industry’s most knowledgeable K9 professionals as well as meet some of the best vendors in the industry. Know upfront what you expect to get out of the Police K9 conference. Will your agency be looking for a dog soon to replace a dog which is retiring? Does your agency need K9 training seminars? Are you looking for equipment to replace aging training aids, harnesses or other K9 training equipment? Are you looking to broaden your knowledge of decoy work, detection, criminal interdiction, K9 medical, supervisor or patrol dogs? Understand what you or your agency needs most from your attendance of this conference and make sure you work to meet those needs. Read the conference agenda and schedules. Make sure you know where and when the seminars you most want to attend are taking place. Attend as many seminars as possible and participate. Take advantage of the opportunities made available by having so many great speakers and varied subjects in one place and attend as many seminars as you can participate in. If you are traveling with other handlers/officers from your agency, separate and attend different seminars in the same time block to maximize the information you take back to the office. Actively participate in the classes by asking questions or answering those questions asked by the speaker. Review the vendor list and align your conference goals with the vendors you must see. If you are looking to buy dogs in the near future you will want to target all of the vendors who sell dogs and plan to spend some time with each of them to get as much information as possible. The same is true for equipment vendors, companies which offer training seminars or dog food vendors. Don’t be shy about revisiting vendors, as this is why the vendors are participating in the event. Note: Some Police K9 conference websites allow you to see a profile of each vendor on the vendor map. This is a great way to research the vendors and plan your agenda. Make an attempt to visit with all the vendors present even if you do not see an immediate need for the vendor’s products or services. There is always interesting information to be learned regarding new products and services in our industry. Take advantage of this great opportunity to meet new people and expand your knowledge while you have the chance. Plus, a lot of vendors have some really cool giveaways which you can register for while you are “talking dogs”. Take your business cards or cards representing your agency to the conference. Exchanging business cards is a great way to get a conversation started or make sure an individual or business will remember you or your agency. They also come in handy when registering for prize drawings! Be open-minded when talking to vendors about new ideas or attending a K9 seminar. There are many ways to achieve the same result in the K9 industry. What is important is that we understand how to use the knowledge we have to ensure the success of the dog and handler teams we put on the street. Whether it be in regard to the proper nutrition, the right collar and leash combination or the most effective reward for the dog, the goal of the conference is to expand our knowledge and use that knowledge to better ourselves, our dog teams and our agencies. We offer impeccably trained police dogs and unbeatable handler education programs.